Ms. Macker is a civil litigator who is experienced in representing both Plaintiffs and Defendants in a wide variety of matters, including business torts, labor and employment, intellectual property, contract disputes, and high net worth marriage dissolution. Ms. Macker gained experience representing public entities, such as the County of Los Angeles, and various professionals in civil rights and negligence actions. Ms. Macker also represented design professionals in construction defect claims, which gave her experience representing small businesses in construction litigation. Ms. Macker now focuses on representation of local businesses, including project owners, restaurants, breweries, and corporations in litigation ranging from contract disputes to tort and employment disputes. 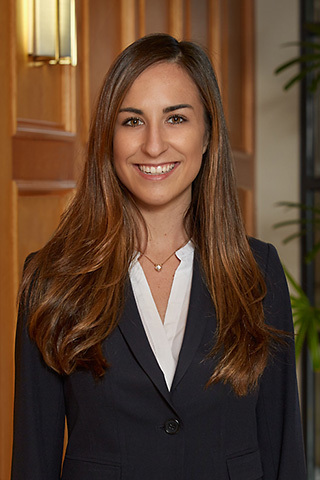 Ms. Macker spends her free time coaching the University of California, San Diego’s Mock Trial team and organizing national intermural tournaments for aspiring trial attorneys. Caitlin is an avid animal lover and can be seen often with Dune, her rescue dog from Thailand, at mock trial tournaments and around the San Diego community.